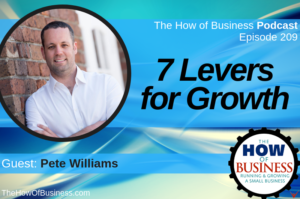 In the latest episode of The How of Business podcast, Pete shares with host Henry Lopez his entrepreneurial journey and the concept of focusing on 10% improvements in seven key areas of your business to help it grow exponentially. In this episode we interview Pete Williams, an entrepreneur, adviser, marketer and the author of “Cadence – A Tale of Fast Business Growth”. Pete shares his unique entrepreneurial journey – from Australia, to working for an athletic shoe retailer in South Florida, and back to Australia to begin his entrepreneurial career. We then chat about some of the key lessons to help small business owners grow their businesses, including focusing on 10% improvements in 7 key business areas. 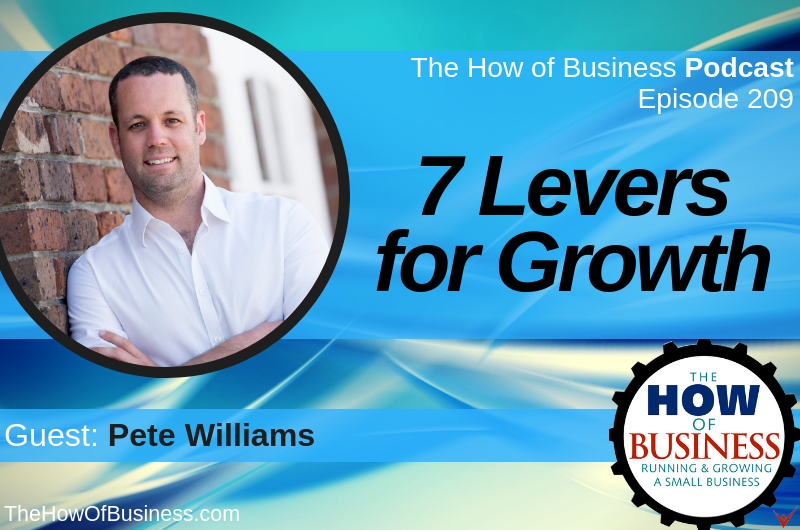 Listen to this episode here: https://thehowofbusiness.com/episode-209-pete-williams/.